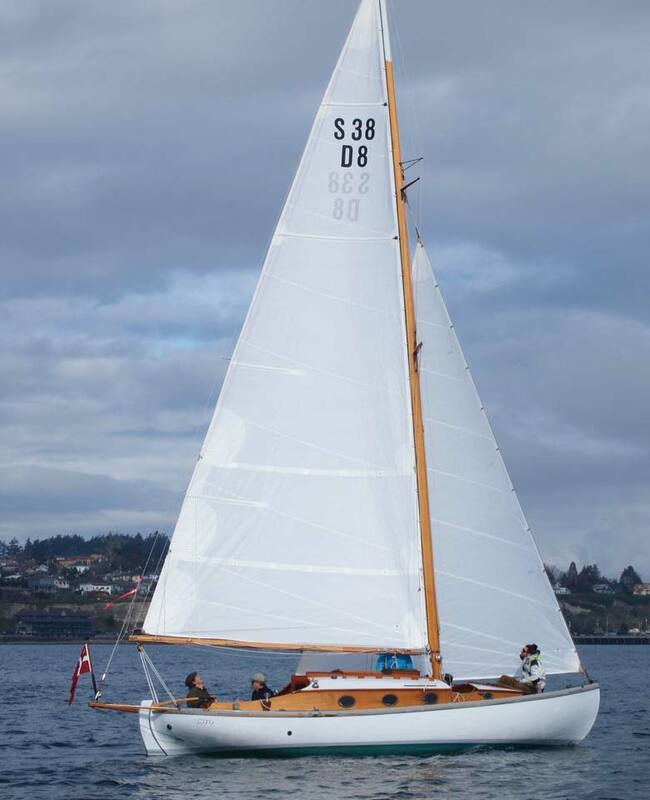 Cito is a Fractionally rigged 1935 Danish 38 M2 Class Spidsgatter sloop designed by MSJ Hansen, built in Copenhagen Denmark in 1936 by Jorgen Wass. Brought to Vancouver Canada in 1955 with some of her sister 38 m2 Spidsgatters. She came to Port Townsend in the fall of 2002, and we bought her in the fall of 2005. A full 8 year restoration was completed in fall of 2013. Restored hull, decks, cockpit, interior. All new spars, standing and running rigging, along with sails, and all marine canvas by Northwest Sails and Canvas. Cito is our cabin on the water, and she takes us cruising up into the vast realms of the Salish Sea annually. She is a pleasure to sail and voyage in, comfortable and compact.